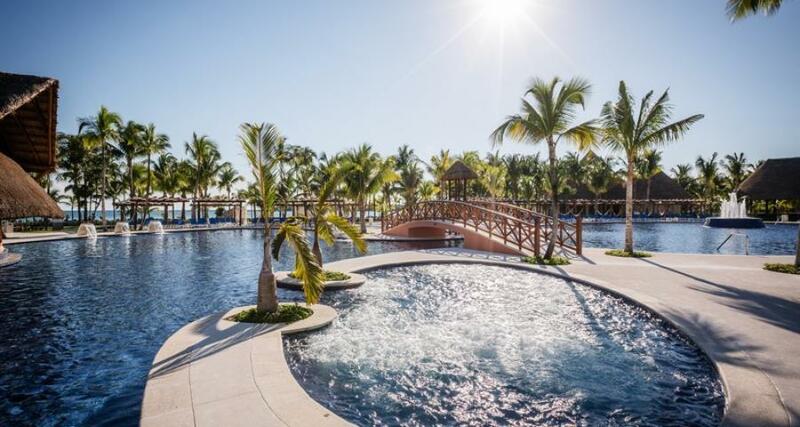 Barcelo Maya Caribe is a luxury 5* family friendly beachfront resort located in Xpu-Ha, Mexico. It features 408 rooms and swimming pools. All inclusive meal plans are available! Barcelo Maya Caribe is an exclusive All Inclusive resort where fun and the good life are never-ending. Located by a stunning beach in the Riviera Maya, this contemporary hotel offers outstanding restaurants, bars, a spa, tennis courts, water sports, and an endless array of activities for guests of all ages.